Current tea consumption is unlikely to provide fluoride intakes that exceed safe limits for adults and children according to a new study just presented to the Nutrition Society by Dr Carrie Ruxton, independent public health nutritionist. Commenting on the research study, author and member of the Tea Advisory Panel (TAP), Dr Carrie Ruxton notes: “Current tea intakes do not provide enough fluoride to meet the Recommended Daily Amount (RDA) for this mineral, and the potential dental health benefits of fluoride cannot be accessed unless tea consumption increases to 3-4 servings/day from the current intake of 1-2 servings a day. Dr Tim Bond from TAP adds: “The 2013 study was also flawed in several respects. 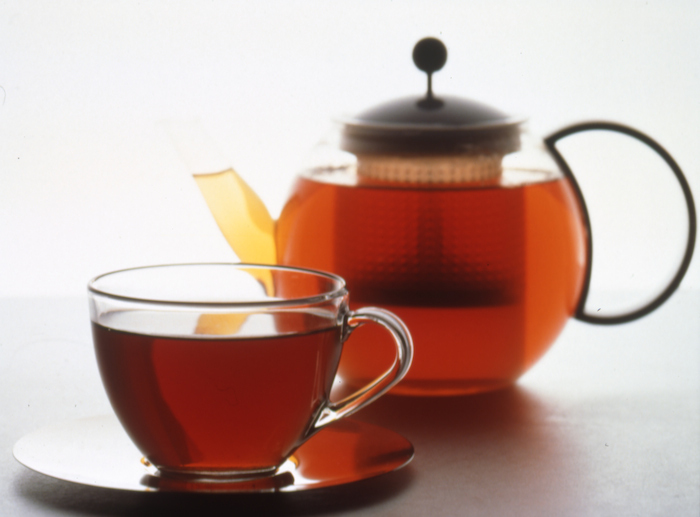 Firstly, tea was brewed for 2 minutes – longer than the typical brewing time of 30-40 seconds. Secondly, 2g of dry tea was added to 100ml of water making the infusion more concentrated that a typical tea bag in a cup or mug. Thirdly, the study compared the fluoride intake with the US Dietary Reference Intake rather than the EU Safe Upper Level. “This latest study replicated the situation of a typical cup or mug of tea in that a single tea bag was added to 240ml of boiling water and brewed for 40 seconds. Tea bags from 49 retail brands were analysed. Scientists have discovered a possible link between tooth loss and blindness in older males. Results of the study published in the Journal of Periodontology3 reveal men are more than four times as likely to suffer from age-related blindness if they have lost the bone supporting the teeth compared to the general population. Although bone loss was seen more often in those suffering with age-related blindness, there was still a significant increase in the number of men affected once common risk factors between the disease and poor oral health had been taken into account. The study also showed the relationship was not seen in women. Age-related macular degeneration (AMD) is a common eye condition among people age 50 and over, and is a leading cause of blindness. It gradually destroys the macula, the part of the eye that provides sharp, central vision needed for seeing objects clearly. Chief Executive of the British Dental Health Foundation, Dr Nigel Carter OBE, discussed the possible implications for almost half a million people in the UK suffering from AMD4. Dr Carter said: “It is well-documented that you can reduce the risk of getting AMD by quitting smoking, moderating alcohol intake and having a healthy, balanced diet. These are all lifestyle factors that would be also lead to poor oral health, so the results of this study are particularly interesting, given they have all been accounted for. “What the study does show is how important it is to maintain good gum health. More teeth are lost through long-standing gum disease than through tooth decay. London: Multiple exposures to dental x-rays may be associated with increased risk of developing thyroid cancer, according to new research. A collaborative study by scientists from Brighton, Cambridge, and Kuwait showed that the risk of thyroid cancer increased with increasing number of dental x-rays taken. About 1900 new cases of thyroid cancer are diagnosed each year in Great Britain and the incidence rates more than doubled from 1.4 to 2.9 per 100,000 persons between 1975 and 2006. Increasing use of sensitive diagnostic techniques is not considered to account for all this increase and the researchers believe other causes need investigation. The research team was led by Dr Anjum Memon (pictured), senior lecturer and consultant in public health medicine at Brighton and Sussex Medical School, a partnership between Brighton and Sussex universities, and NHS Brighton and Hove. The thyroid gland is situated in the neck, and will be exposed to radiation from many dental x-rays. It is known to be highly sensitive to ionising radiation, particularly in children, and dental radiography, a source of low-dose diagnostic radiation, is often overlooked as a potential hazard to the gland. The researchers studied 313 thyroid cancer patients in Kuwait where dental treatment is free and where the incidence of thyroid cancer is relatively high compared to Britain. They said the results of their study, although the largest case-control study on the subject, should be treated with caution because the data were necessarily based on self-reporting by the participants. Comprehensive historical dental x-ray records were not available from the clinics. They said the results provide good evidence to warrant more research in settings where historical dental x-ray records are available and where doses of radiation can be estimated. Dr Memon said the findings were consistent with previous reports of increased risk of thyroid cancer in dentists, dental assistants, and x-ray workers which suggest that multiple low-dose exposures in adults may also be important. He said dental x-rays have also been associated with an increased risk of brain and salivary gland tumours. He said: The public health and clinical implications of these findings are particularly relevant in the light of increases in the incidence of thyroid cancer in many countries over the past 30 years. The research team, whose findings have been published in Acta Oncologica, 2010; 49:447-453, called for further studies using dental X-ray records. The research was funded by the Kuwait Foundation for the Advancement of Sciences (KFAS) and was administered by the Kuwait University Research Grant Administration. Lead researcher was Anjum Memon with Sara Godward, Dillwyn Williams, Iqbal Siddique and Khalid Al-Saleh. Brighton and Sussex Medical School (BSMS) is partnership between the University of Brighton, University of Sussex and the local NHS health community. At BSMS, we identify research areas in medicine where we believe we can make a rapid and real difference. Our focus is on the continuous improvement of population health and medical treatment to deliver more personalised healthcare for patients, by applying basic science to answer fundamental clinical questions. BSMS brings together the combined expertise of the universities of Brighton and Sussex and the local NHS health economy, to deliver research which is directly translated into health gains for the population. Thyroid cancer statistics from Cancer Research UK. The British Dental Health Foundation and Oral-B research shows that people dont understand that a smile can actually be a barometer of your overall wellbeing, and that a good oral care routine has potential health benefits beyond just your teeth and gums. Luckily as summer approaches 60% of Brits understand that fad diets like the Maple Syrup Diet are going to play havoc with their smiles. However most people mistakenly think that red wine is worse for their teeth than white- incorrect! Research shows that red wine can actually ward off tooth decay* (due to the chemicals in it that stop harmful bacteria sticking to teeth), and it is in fact white wines like Pinot Grigio and Chardonnay that can be the most staining to teeth, as they actually wear away the protective enamel**. Shockingly a third of us think that nothing serious will happen to us if we neglect our gums, whereas research has linked gum disease to potential risk of heart disease, diabetes, strokes, premature births, low birth-weight babies, and even infertility. Definitely time for Brits to brush up on their oral health knowledge! The survey, conducted to highlight National Smile month this May, shows that people think you should only brush your teeth for around 30 seconds, when dentists recommend a minimum of 2 minutes every morning and evening. In the football smile stakes, Cheryl Cole was voted the pearly queen, having the best celebrity WAG smile, whereas Rooneys ankle injury has clearly left him down in the mouth – he has been voted the footballer with the worst smile, even compared to famously buck-toothed Ronaldinho. This years National Smile Month campaign slogan, Teeth4Life, highlights the importance of looking after your teeth and maintaining them for life, whilst also stressing that a healthy diet can improve the quality of your life. Oral  B are the experts in oral care and as the number one brand recommended by UK dentists, passionately believe in helping the nation to brush up on their oral hygiene for healthier, confident smiles. The new sleeker, more ergonomic OralB Triumph 5000 is the next generation in premium rechargeable toothbrushes designed to fight plaque and be gentle on gums. This revolutionary toothbrush combines Oral-Bs most clinically advanced 3D cleaning and whitening technology. The Triumph 5000 works by using microchips embedded in the brush head and handle to monitor brushing activity and provide real-time guidance of your oral care routine via SmartGuide Wireless which communicates with the digital display. The display guides you through your brushing technique to encourage better brushing habits and helps prevent common problems such as brushing too hard, unequal brushing and not brushing for long enough (ensuring the all important two minutes of brushing time is reached). It comes complete with 4 customised brushing modes, including massage and polish; it is like having a dental supervisor in the bathroom with you every time you brush.  September 2008 – scientists present the Society of General Microbiologys autumn meeting with two new studies linking between gum disease and heart disease. o A study presented by University of Otagos Professor Greg Seymour finds that oral bacteria causes atherosclerosis, or furring of the arteries, as oral bacterias similarity to proteins which cause arteries to fur confuses the immune system. December 2008  researchers in Finland question 328 women on oral health and pregnancy, those who needed urgent dental treatment, suggesting poor oral health, were 2.5 times more likely to miscarry. (Heimonen et al, Blackwell Publishing July 2007 – Faculty of Dentistry at the University of Chile finds link between gum disease and premature births. One in three women at risk of premature labour presented with gum disease bacteria in their amniotic fluid, as well as their mouth. February 2009  Pilot study on 56 men by Hebrew University Hadassah School of Dental Medicine and Bikur Holim Hospital-based scientists in Israel suggests links between gum disease and low sperm counts. The British Dental Health Foundation is an independent charity that along with its global arm, the International Dental Health Foundation, is dedicated to improving the oral health of the public by providing free and impartial dental advice, by running educational campaigns like National Smile Month and by informing and influencing the public, profession and government on issues such as mouth cancer awareness and water fluoridation. Oral-B (P&G) is proud to be a Platinum supporter of National Smile Month 2009. The company is committed to supporting patient education and produces free literature covering manual & power brushes as well as floss usage. We are committed to working with the British dental Health foundation to improve oral health. 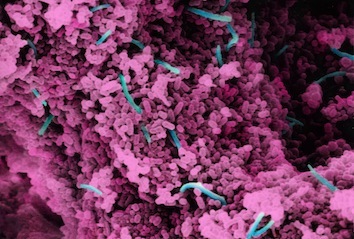 The human mouth is teeming with bacteria. Brushing, flossing, and traditional dental care often aren’t enough to escape the health risks of too much of the wrong kind of bacteria in the human mouth. With oral probiotics, we may be able to prevent or at least control the growth of the dangerous organisms where they originate. Advanced Oral Hygiene is a new oral probiotic that provides the beneficial bacteria that can help block harmful bacteria that first develop in the mouth. This sophisticated oral probiotic therapy allows the healthy and naturally occurring organisms found in the body to out-compete the harmful bacteria. Advanced Oral Hygiene contains BLIS K12 and Bacillus coagulans, a unique blend of two oral probiotics, which aim to triumph over many of the chronic threats to our health caused by oral microbes that may pose harm to the body. BLIS K12 (Streptococcus salivarius) and Bacillus coagulans (GanedenBC30®) organisms naturally survive in human tissue, maximizing their health-promoting potential and providing help with the regulation of inflammation and cell destruction caused by the dangerous germs that originate in the mouth. Regular use of Advanced Oral Hygiene could make a significant impact in protecting oral health,1-3 which in turn can strengthen the immune system, ease inflammation, and help the body maintain good health. Inflammation in the mouth can translate to poor health in other parts of the body. Traditionally, poor mouth conditions have a tendency to become chronic, producing a steady elevation of inflammation in other parts of the body that receive high blood flowthereby seeding the entire system with circulating cytokines. These cytokines, or chemical messengers, produce inflammatory responses in tissues far distant from the mouth, and affect cellular behavior critical to the immune system’s defense. When cytokine levels continue to increasethe occurrence of even more acute inflammation can also increase. Advanced Oral Hygiene can offer relief and modulate the body’s inflammatory response, making these good microorganisms found in the K12 and GanedenBC30® strain the ideal candidates for preventing inflammatory conditions in the body. In combination with a rigorous oral hygiene regime, Advanced Oral Hygiene provides the body with beneficial bacteria to naturally help protect the immune system and prevent harmful bacteria from colonizing throughout the body. Q	What is a crown? A	Crowns are an ideal way to rebuild teeth which have been broken, or have been weakened by decay or a very large filling. The crown fits right over the remaining part of the tooth, making it strong and giving it the shape and contour of a natural tooth. Crowns are sometimes also known as caps. An Anterior Crown is a crown fitted to the front eight teeth. Q	Why would I need a crown? 	it may help hold a bridge or denture firmly in place. Q	What are crowns made of? 	Porcelain bonded to precious metal: this is what most crowns are made from. A precious metal base is made and layers of porcelain are then applied over it. 	Porcelain: these crowns are not as strong as bonded crowns but they can look very natural and are most often used for front teeth. 	Porcelain and composite: porcelain and composite resin materials can sometimes look the most natural. However, these crowns are not as strong as bonded metal crowns. 	Glass: these crowns look very natural and are used on both front and back teeth. 	Precious metal (gold and palladium): these crowns are very strong and hard-wearing, but are not usually used at the front of the mouth, where they are highly visible. Q	How is a tooth prepared for a crown? A	The dentist will prepare the tooth to the ideal shape for the crown. This will mean removing most of the outer surface, and leaving a strong inner core. The amount of the tooth removed will be the same as the thickness of the crown to be fitted. Once the tooth is shaped, the dentist will take an impression of the prepared tooth, one of the opposite jaw and possibly another to mark the way you bite together. The impressions will be given to the technician, along with any other information they need to make the crown. Q	Who makes the crown? A	The impressions and information about the shade of your teeth will be given to a dental technician who will be skilled in making crowns. They will make models of your mouth and make the crown on these to be sure that the crown fits perfectly. Q	Will the crown be noticeable? first appointment to last until the permanent one is ready. These temporary crowns may be more noticeable, but they are only in place for about two weeks. Q	How long does the treatment take? A	You will need to have at least two visits: the first for the preparation, impression, shade taking and fitting the temporary crown, and the second to fit the permanent crown. Q	Does it hurt to have a tooth prepared for a crown? A	No. A local anaesthetic is used and the preparation should feel no different from a filling. If the tooth does not have a nerve, and a post crown is being prepared, then local anaesthetic may not be needed. Q	Are post crowns different? A	Post crowns may be used when the tooth has been root filled. The weakened crown of the tooth is drilled off at the level of the gum. The dentist makes a double-ended post to fit into the root canal. This can be either prefabricated stainless steel or custom made of gold. One end of the post is cemented into the root canal, and the other end holds the crown firmly in place. Q	Are there any alternatives to post crowns for root-filled teeth? core is then prepared in the same way as a natural tooth and the impressions are taken. Q	How long will a crown last? A	The life of a crown will depend on how well it is looked after. The crown itself cannot decay, but decay can start where the edge of the crown joins the tooth. It is very important to keep this area as clean as your other teeth, or decay could endanger the crown. Properly cared for crowns will last for many years  your dentist will be able to tell you how long. Q	How are crowns fixed to teeth? A	Once the fit and appearance of the crown has been checked  and approved by you  it will be cemented in place with special dental cement. The cement also forms a seal to help hold it firmly in place. Q	Will the crown feel different? A	Because the shape of the crown will be slightly different from the shape of your tooth before it was crowned, you may be aware of it to begin with. Within a few days it should feel fine, and you will not notice it. The crown may need some adjustment if it feels higher than the surrounding teeth. If it is at all uncomfortable ask your dentist to check and adjust it. Q	Is there an alternative to a crown? A	A veneer may be an alternative to having an anterior crown. Your dentist will advise you of any suitable alternatives. Q	What are sensitive teeth? A	Having sensitive teeth can mean anything from getting a mild twinge to having severe discomfort that can continue for several hours. It can also be an early warning sign of more serious dental problems. Q	Who suffers from sensitive teeth? A	Many people suffer from sensitive teeth and it can start at any time. It is more common in people aged between 20 and 40, although it can affect people in their early teens and when they are over 70. Women are more likely to be affected than men. Q	What causes sensitive teeth? A	The part of the tooth we can see is covered by a layer of enamel that protects the softer dentine underneath. If the dentine is exposed, a tooth can become sensitive. This usually happens where the tooth and the gum meet and the enamel layer is much thinner. Toothbrush abrasion  brushing too hard, and brushing from side to side, can cause dentine to be worn away, particularly where the teeth meet the gums. The freshly exposed dentine may then become sensitive. Dental erosion  this is loss of tooth enamel caused by attacks of acid from acidic food and drinks. If enamel is worn away the dentine underneath is exposed, which may lead to sensitivity. Gum recession  gums may naturally recede (shrink back), and the roots will become exposed and can be more sensitive. Root surfaces do not have an enamel layer to protect them. Gum disease  a build-up of plaque or tartar can cause the gum to recede down the tooth and even destroy the bony support of the tooth. Pockets can form in the gums around the tooth, making the area difficult to keep clean and the problem worse. Tooth grinding  this is a habit which involves clenching and grinding the teeth together. This can cause the enamel of the teeth to be worn away, making the teeth sensitive. A cracked tooth or filling  a cracked tooth is one that has become broken. A crack can run from the biting surface of a tooth down towards the root. Extreme temperatures, especially cold, may cause discomfort. Tooth bleaching  some patients have sensitivity for a short time during or after having their teeth bleached. Discuss this with your dentist before having treatment. Q	When are teeth more likely to be sensitive? A	You are more likely to feel the sensitivity when drinking or eating something cold, from cold air catching your teeth, and sometimes with hot foods or drinks. Some people have sensitivity when they have sweet or acidic food and drink. The pain can come and go, with some times being worse than others. Q	Is there anything I can do to treat sensitive teeth at home? A	There are many brands of toothpaste on the market made to help ease the pain of sensitive teeth. The toothpaste should be used twice a day to brush your teeth. It can also be rubbed onto the sensitive areas. These toothpastes can take anything from a few days to several weeks to take effect. Your dentist should be able to advise you on which type of toothpaste would be best for you. Q	Is there anything I should avoid if I have sensitive teeth? A	You may find that hot, cold, sweet or acidic drinks, or foods like ice cream can bring on sensitivity, so you may want to avoid these. If you have sensitivity when brushing your teeth with cold water from the tap, you may need to use warm water instead. It is important you do not avoid brushing your teeth regularly as this could make the problem worse. Q	Do I need to go and see my dentist? A	Yes, if you have tried treating your sensitive teeth for a few weeks and have had no improvement. Q	What treatments can the dentist offer? A	During an examination the dentist will talk to you about your symptoms. They will look at your teeth to find out what is causing the sensitivity and to find the best way of treating it. The dentist may treat the affected teeth with special de-sensitising products to help relieve the symptoms. Fluoride gels, rinses or varnishes can be applied to sensitive teeth. These can be painted onto the teeth at regular appointments one or two weeks apart, to build up some protection. Sensitivity can take some time to settle, and you may need to have several appointments. If this still does not help, your dentist may seal or fill around the neck of the tooth, where the tooth and gum meet, to cover exposed dentine. In very serious cases it may be necessary to root-fill the tooth. Q	How can I prevent sensitive teeth? 	Brush your teeth twice a day for two minutes with fluoride toothpaste. Use small circular movements with a soft- to medium-bristled brush. Try to avoid brushing your teeth from side to side. 	Change your toothbrush every two to three months, or sooner if it becomes worn. 	Have sugary foods, and fizzy and acidic drinks less often. Try to have them only at mealtimes. 	If you grind your teeth, talk to your dentist about the possibility of having a mouthguard made to wear at night. 	If you are thinking about having your teeth bleached, discuss sensitivity with your dentist before starting treatment. 	Visit your dentist at least once a year for a check up. Q	What is gum disease? A	Gum disease describes swelling, soreness or infection of the tissues supporting the teeth. There are two main forms of gum disease: gingivitis and periodontal disease. A	Gingivitis means inflammation of the gums. This is when the gums around the teeth become very red and swollen. Often the swollen gums bleed when they are brushed during cleaning. Q	What is periodontal disease? A	Long-standing gingivitis can turn into periodontal disease. There are a number of types of periodontal disease and they all affect the tissues supporting the teeth. As the disease gets worse the bone anchoring the teeth in the jaw is lost, making the teeth loose. If this is not treated, the teeth may eventually fall out. Q	Am I likely to suffer from gum disease? A	Probably. Most people suffer from some form of gum disease, and it is the major cause of tooth loss in adults. However, the disease develops very slowly in most people, and it can be slowed down to a rate that should allow you to keep most of your teeth for life. Q	What is the cause of gum disease? A	All gum disease is caused by plaque. Plaque is a film of bacteria, which forms on the surface of the teeth and gums every day. Many of the bacteria in plaque are completely harmless, but there are some that have been shown to be the main cause of gum disease. To prevent and treat gum disease, you need to make sure you remove all the plaque from your teeth every day. This is done by brushing and flossing. Q	What happens if gum disease is not treated? A	Unfortunately, gum disease progresses painlessly on the whole so that you do notice the damage it is doing. However, the bacteria are sometimes more active and this makes your gums sore. This can lead to gum abscesses, and pus may ooze from around the teeth. Over a number of years, the bone supporting the teeth can be lost. If the disease is left untreated for a long time, treatment can become more difficult. Q	How do I know if I have gum disease? A	The first sign is blood on the toothbrush or in the rinsing water when you clean your teeth. Your gums may also bleed when you are eating, leaving a bad taste in your mouth. Your breath may also become unpleasant. Q	What do I do if I think I have gum disease? A	The first thing to do is visit your dentist for a thorough check-up of your teeth and gums. The dentist can measure the cuff of gum around each tooth to see if there is any sign that periodontal disease has started. X-rays may also be needed to see the amount of bone that has been lost. This assessment is very important, so the correct treatment can be prescribed for you. Q	What treatments are needed? A	Your dentist will usually give your teeth a thorough clean. Youll also be shown how to remove plaque successfully yourself, cleaning all surfaces of your teeth thoroughly and effectively. This may take a number of sessions with the dentist or hygienist. Q	What else may be needed? pockets of bacteria are removed. anything is done. Afterwards, you may feel some discomfort for up to 48 hour. Q	Once I have had periodontal disease, can I get it again? A	Periodontal disease is never cured. But as long as you keep up the home care you have been taught, any further loss of bone will be very slow and it may stop altogether. However, you must make sure you remove plaque every day, and go for regular check ups by the dentist and hygienist. Q	What is dental occlusion? A	Dental occlusion is another name for the way your teeth meet when your jaws bite together. A	The letters TMJ are short for of temporo-mandibular joint, which is the joint connecting your lower jaw and your skull. The movement in this joint lets you open and close your mouth and chew from side to side. Q	What kind of problems might I have? A	If your teeth dont fit together properly, you can have problems not only in your teeth themselves, but also the gums, the temporo-mandibular joint or the muscles that move your jaw. These problems are called occlusal problems. Q	How can I tell if I have a problem? A	You may find that you clench or grind your teeth, although most people who do arent aware of it. Sometimes can be caused by anxiety, but generally most people clench their teeth when they are concentrating on a task – housework, gardening, car mechanics, typing and so on. Together, all these symptoms are called TMJ syndrome. Q	How are occlusal problems treated? A	See your dentist. He or she may be able to help you or may refer you to a specialist who deals with occlusal problems. Q	Will straightening my teeth help? A	If your teeth are too far out of line or in a totally incorrect bite position, it may be necessary to fit an orthodontic appliance to move them into a better position. Q	How many people suffer from these problems? treatment more often than men. The symptoms can often start with the menopause or other hormonal changes. 	toothache with no apparent cause. Q	How can smoking affect my oral health? A	Most people are now aware that smoking is bad for our health. It can cause many different medical problems and, in some cases, fatal diseases. However, many people dont realise the damage that smoking does to their mouth, gums and teeth. Smoking can lead to tooth staining, gum disease, tooth loss and in more severe cases mouth cancer. Q	Why are my teeth stained? A	One of the effects of smoking is staining on the teeth due to the nicotine and tar content. It can make the teeth yellow in a very short time, and heavy smokers often complain that their teeth are almost brown after years of smoking. Q	How will smoking affect my gums and teeth? A	Smoking can also lead to gum disease. Patients who smoke are more likely to produce bacterial plaque, which leads to gum disease. The gums are affected because smoking causes a lack of oxygen in the bloodstream, so the infected gums fail to heal. Smoking causes people to have more dental plaque and for gum disease to progress more rapidly than in non-smokers. Gum disease still remains the most common cause of tooth loss in adults. Q	How is smoking linked with cancer? Q	Are there special dental products I can use? A	There are special toothpastes for people who smoke. They are sometimes a little more abrasive than ordinary pastes and should be used with care. Your dentist may recommend that you use these toothpastes alternately with your usual toothpaste. As there are several toothpastes on the market which claim to whiten teeth it is important to look for those accredited by the British Dental Health Foundation. Our logo means that the claims on the packaging are scientifically proven to be correct and the product will be effective at removing staining caused by smoking. A	People who smoke may find they are more likely to have bad breath than non-smokers. Fresh breath products such as mouthwashes may help to disguise the problem in the short term, but will only mask it. Q	How often should I visit my dentist? A	It is important that you visit your dentist regularly both for a normal check up and a full mouth examination so that any other conditions can be spotted early. Q	What can my dentist do for me? A	Your dentist will carry out a regular examination to make sure that your teeth and gums and whole mouth are healthy. Your dentist will also examine your cheeks, tongue and throat for any signs of other conditions that may need more investigation. They may also be able to put you in touch with organisations and self- help groups who will have the latest information to help you stop smoking. Q	Will I need any extra treatment? A	Your dentist may also refer you to a dental hygienist, for further treatment, thorough cleaning and to keep a closer check on your oral hygiene. Your dental hygienist will be able to advise you on how often you should visit them, although this should usually be every three to six months. Q	What are amalgam fillings? Q	Why should I consider white fillings? A	Most people have fillings of one sort or another in their mouths. Nowadays fillings are not only functional, but can be natural looking as well. Many people dont want silver fillings that show when they laugh or smile because they are more conscious about the way they look. Q	Can I get them on the NHS? A	The National Health Service will not usually allow white fillings on the biting surfaces of back teeth. However, this does not apply to the sides of back teeth or to any front teeth. A	Because many white fillings are only available privately, costs can vary quite a lot from dentist to dentist. Costs usually depend on the size and type of white filling used and the time it takes to complete the treatment. Costs may also vary from region to region. As a guide, white fillings start from around £40 each, but your dentist will be able to give you an idea of the cost before you agree to treatment. Q	Are they as good as silver amalgam fillings? silver amalgam fillings. But there are now new materials available with properties comparable to silver amalgam, and these are proving to be very successful. The life expectancy of a white filling can depend greatly on where it is in your mouth and how heavily your teeth come together when you bite. Your dentist can advise you on the life expectancy of your fillings. However, any fillings provided on the NHS are automatically guaranteed for one year. Q	Is it worth replacing my amalgam fillings with white ones? A	It is usually best to change fillings only when your dentist decides that an old filling needs replacing. If so you can ask to have it replaced in a tooth-coloured material. A Most dental practices offer white fillings as a normal part of the treatment they give you. However, white fillings are classed as a cosmetic treatment, and you can therefore only have them if you pay for them. A Adhesive dentistry is another form of this treatment. This involves bonding the filling to the tooth. The dentist has to remove less of the tooth, which is obviously better. Q What is Tooth Jewellery? A Tooth Jewellery is the latest fashion craze to hit the UK. Tooth jewellery classic designs are an elegant compliment to standard jewellery. When placed on the tooth, the jewellery creates a distinctive expression of ones individuality. 	Twinkles: – This is a collection of 24-carat gold and white gold jewellery. The jewellery is available in over 50 different designs with some including diamonds, sapphires and rubies. 	Dental Gems: – Are a range of glass crystals are available in nine different colours  diamond, rainbow, ruby, sapphire, emerald, emerald green, aquamarine, pink, sapphire light. Q	Is The Jewellery For Males Or Females? A	Both  there are many different designs which appeal to everyone. Children under the age of 16 should have parental consent. Q	How Do You Apply them? A	The dentist will use a dental adhesive to apply the Jewellery to your tooth. Q	Does The Application Procedure Hurt? Q	How Long Does The Application Procedure Take? Q	How Long Will The Jewellery Stay On My Tooth? A	The tooth Jewellery can last on your tooth indefinitely or for as long as you want it. Q	Will The Tooth Jewellery Harm My Tooth? A	When properly placed by a dentist, the tooth Jewellery will not damage or harm your tooth in any way. Tooth jewellery should only be applied to natural teeth. Q	How Do I Remove The Tooth Jewellery When I No Longer Want it? Q	How Much Does It Cost? Q	What does tooth whitening do? A	Tooth whitening can be a highly effective, yet very simple way, of lightening the colour of teeth without removing any of the tooth surface. It cannot make a colour change, but lightens the existing colour. Q	What does the procedure involve? A	The dentist applies a chemical barrier to the gums, which will protect them during the whitening process. The whitening solution is then applied to the teeth and the chemical is then activated using heat, or heat and light combined. Q	How long does the procedure take? A	The process would normally take over an hour but your dentist will advise you on your specific requirements. Q	Will I be happy with the results? A	Treatment results may vary depending on the original shade of the teeth. Teeth will tend to darken slightly over time. The effect lasts for around 1 to 3 years, although sometimes it can last longer. Q	When might whitening not work? A	Whitening can only lighten your existing tooth colour. For a change to specific chosen shade veneering is another option. Whitening also works on natural teeth. It will not work on any type of ‘false teeth. This includes dentures, crowns and veneers. If dentures are stained or discoloured, it may be worth visiting the dentist and asking him or her to clean them. Stained veneers, crowns and dentures may need replacing. Again, ask your dentist. Q	How do I care for my teeth after whitening? A	Talk to your dentist about maintaining the colour of your teeth, and the products that are available for keeping the effect. Each individuals lifestyle needs to be assessed but good oral hygiene and regular visits to the hygienist will help to maintain the effect for longer. Some people find that their teeth are sensitive for the first few days after treatment, but this wears off after a short while. Your dentist will advise you of the products you can use to counteract this. A	In a live tooth the dentist applies the whitening product using a specially made tray which fits into the mouth like a gum shield. The chemical is then activated using heat, or heat and light combined. The active ingredient in the product is normally hydrogen peroxide or carbamide peroxide. If the tooth has been root treated, the canal, which previously contained the nerve, may be reopened and the whitening product is put in.In both cases, the procedure needs to be repeated until the right shade is reached. A	First of all you will need 2 or 3 visits to your dentist. Your dentist will need to make a mouthguard and will need to take impressions for this at the first appointment. Once your dentist has started the treatment, you will have to continue the treatment at home. This will mean applying the bleach regularly over 2-4 weeks for 30 minutes to 1 hour at a time. However, some newer products can be applied for up to 8 hours at a time, which means that a satisfactory result can be obtained in as little as 1 week. Q	Why would my teeth need to be bleached? A	Everyone is different; and just as our hair and skin colour varies, so do our teeth. Some teeth have a yellowish tinge, some are more beige  very few are actually white. Teeth also yellow with age can become stained on the surface by food and drinks such as tea, coffee and blackcurrant. Calculus (tartar) can also affect the colour of the teeth. Some people may have staining inside their teeth. This can be caused by certain antibiotics or tiny cracks in the teeth, which take up the stain. A	Treatment results may vary depending on the original shade of the teeth. Teeth will tend to darken slightly over time. The effect lasts for around 1 to 3 years, although sometimes it can last longer. Some people find that their teeth are sensitive for the first few days after treatment, but this wears off after a short while. Q	What about home kits? A	Over-the-counter kits are not recommended as they contain only a small amount of hydrogen peroxide which makes the product less effective. Some also contain mild acids, while others are abrasive. 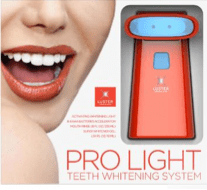 Although these products are cheaper, whitening is a complicated treatment procedure and should only be carried out by a dentist after a thorough examination and assessment of your teeth. It is very important to follow the instructions your dentist gives you, and to make sure that you go for any follow-up appointments recommended. Q	What about whitening toothpaste? A	There are now several whitening toothpastes you can buy. Although they do not affect the natural colour of the tooth, they are effective at removing staining and therefore improving the overall appearance of the tooth. Whitening toothpaste may also help to keep up the appearance, once teeth have been professionally whitened. A	No. The crown will be made to match your other teeth exactly. The shade of the neighbouring teeth will be recorded, to make sure that the colour looks natural and matches the surrounding teeth. A temporary crown, usually made in plastic, will be fitted at the end of the first appointment to last until the permanent one is ready. These temporary crowns may be more noticeable, but they are only in place for about two weeks. Its the simplest of secrets to looking great, but so many of us still dont make the most of natures greatest beauty tool, a great smile. Your smile is a genuine reflection of your deepest feelings; it costs nothing and enriches those you encounter, a smile conveys your self-esteem and exudes confidence to the world around you. Yet, according to a new survey by Align Technology, makers of the Invisalign system, which uses a series of removable clear aligners to gradually move the teeth, nearly half of us Brits (46%) are well and truly embarrassed about the state of our teeth. Having a smile to be proud of is really important – your smile is in fact one of the first things people notice when they meet you. Research shows that not only is a great smile the first thing a third of women notice in a potential love interest, but six in ten of us also agree that a winning smile makes you appear more confident – and thus far more attractive. 1. Watch what you eat and drink – We all know red wine and coffee can stain your teeth, but sticking to lighter drinks can make a huge difference. 3. Use your mirror – Find the teeth that are the most stained and concentrate on those when brushing to get an even better smile! 5. Keep up with latest technology  From teeth straightening and whitening, it has come along way, which means its never too late to sort out your teeth. London: Log on to our live web TV show to find out how you can break free from unhealthy habits Show date: 2nd June Show time: 2pm (London time). Personal hygiene bad habits can not only be hard to kick but can also lead to serious medical problems. Take oral hygience, for example: our failure to look after our gums is implicated in a higher risk of heart disease and even miscarriage. Nine in ten people experience gum disease in their lives – which is the main cause of lost teeth – and the thought of losing one or more teeth would distress most of us…. Its clearly important that we get into good oral care habits – and by this we mean looking after our gums as well as our teeth – so how can we start to get into good habits? The answer lies in training our brains to form different habit pathways. According to Dr Maxwell Maltzs 21 Day Theory, it only takes 21 days to replace old habits with new ones by repeating certain actions to strengthen the correct brain pathways. So if we start today, by the end of the month we could have eradicated our bad habits once and for all. Join us in this live and interactive web TV show to find out how you can establish and maintain a regime that will help you keep on track. Theres expert advice on offer from GP Dr Pixie McKenna, Professor of Flavour Technology Andy Taylor and Dr James Russell of the British Academy of Cosmetic Dentistry, who will also be answering your questions live online. Dr Pixie McKenna, Professor of Flavour Technology Andy Taylor and Dr James Russell of the British Academy of Cosmetic Dentistry join us live online at Oral Health tips from the experts on 2nd June to discuss oral health care for women. If you would like to submit questions before the chat please also click on this link. Liverpool: Scientists at the University of Liverpool have developed a new dental product to identify plaque build-up in the mouth before it is visible to the human eye. The toothbrush-sized product has a blue light at its tip, which, when shone around the mouth and viewed through yellow glasses with a red filter, allows plaque to be seen easily as a red glow. The device, produced in collaboration with dental and healthcare developers, Inspektor Research Systems BV, has been designed for everyday use in the home. Dentists currently use disclosing agents in tablet form to uncover tooth decay and plaque but these often stain the mouth and taste unpleasant. The new product, known as Inspektor TC, will be particularly useful for those who are vulnerable to dental diseases such as children and the elderly. Children in the UK have had an average of 2.5 teeth filled or removed by the age of 15 because of tooth decay. In young people alone £45 million is currently being spent every year on the problem. Professor Sue Higham, from the Universitys School of Dental Sciences, said: It is extremely difficult to get rid of all plaque in the mouth. Left undisturbed it becomes what we call mature plaque and gets thicker. This is what leads to gingivitis, or bleeding gums, and decay. Early stage plaque is invisible, and so this device will show people the parts of the mouth that they are neglecting when they brush their teeth, enabling them to remove plaque before it becomes a problem. The team has now received a Medical Futures Innovation Award for the product  a commendation which acknowledges significant innovation in science. 1. Inspektor Research Systems BV is an industrial collaborator based in Norway which focuses on research and analysis to develop innovative dental and healthcare products. 2. Medical Futures Innovation Awards recognise groundbreaking ideas and products within the healthcare and business world that have the potential to transform peoples lives. Past winners of the award have secured over £80 million of funding from industry specialists for the manufacture of their product. 3. The University of Liverpool is a member of the Russell Group of leading research-intensive institutions in the UK. It attracts collaborative and contract research commissions from a wide range of national and international organisations valued at more than £93 million annually. London: Britons’ No 1 ageing fear is have to wear false teeth, according to a new survey. Nearly half of Brits are in grave danger of having teeth that are ‘older’ than they are, due to poor diets and shameful dental habits according to new research* from Orbit CompleteTM. And yet, the nation’s biggest ageing fear is the prospect of having to wear dentures – proving that Brits really need to brush up on their ‘dental know how’ if they want to avoid their worst nightmare coming true! When we think of someone looking ‘old’, one of the first things we think of is stained, crooked and rotting teeth. As a nation, despite being scared of ending up having to ‘glue’ our teeth in each day, we’re not helping ourselves with over half of us confessing to not knowing how to clean our teeth correctly and a third never bothering to floss. Orbit Complete worked with the British Dental Health Foundation to discover other dental villains harming our teeth. Fruit smoothies and juices might be a great way to help you get your 5-a-day, but whether the 61% of Brits that drink them regularly are aware that they have a high acid content that is harmful to their teeth, is doubtful. Coffee, white wine and red wine, also guzzled by Brits on a regular basis, are also adding on the years by eroding and discolouring their teeth. It’s the Welsh who are in danger of being ‘long in the tooth’ before their time, with one in five coming out worst in the dental test due to lifestyle factors such as smoking and drinking fizzy drinks, but it’s the Scots who seem to be the least bothered about their dental health routine. The Southerners are ‘young gums’ with the most youthful teeth. The Northern Irish spend the most time preening their pearly whites – almost one in ten have bleached their own teeth at home with over-the-counter whitening kits. For brilliantly white teeth why not try NEW Advanced Whitening from the leading toothpaste innovator, Arm & Hammer® (rrp £2.49, 75ml). Clinically proven to whiten your teeth by an amazing 3 shades, it is a highly effective daily whitening toothpaste. Advanced Whitening contains Baking Soda particles that dissolve to gently clean away both surface and deep stains. This advanced toothpaste also has the added benefit of micropolishers that safely polish your teeth leaving your smile dramatically improved. With long-lasting fresh breath protection Advanced Whitening also neutralises odour and gives you the dentist feeling of clean. We have ten samples of this product to give away. If you would like to receive a sample, please email us at readeroffer@elixirnews.com with your name and address, stating Toothpaste, in the email header. Note this offer closes 31 May, the Editor’s decision is final and no cash equivalent is being offered. Enamel Care Whitening (rrp £3.49, 75 ml); with the patented ingredient Liquid Calcium® this is the ideal toothpaste for those who want to strengthen the surface enamel on their teeth. In only three months your teeth will be stronger, healthier and whiter. Enamel Care Sensitive (rrp £3.49, 75ml); great for those with sensitive teeth, this is the only toothpaste that will actually fix the cause of sensitivity using patented Liquid Calcium®. All Arm & Hammer toothpastes also contain fluoride to strengthen your teeth. They are avaible in the UK from Tesco, Sainsburys, ASDA, Morrisons, Boots and Superdrug.